No matter what kind of familiar dish you and your crowd are craving, Nancy Miller has found your new favorites. We’re not suggesting that you order the chocolate chip bread pudding before you take your first look at the Blackstone Grille menu. Having given you fair warning, don’t blame us if at the end of the meal, your server says, “Sorry, we’re out of the bread pudding.” You’ll leave not knowing the taste of a heavenly dessert. 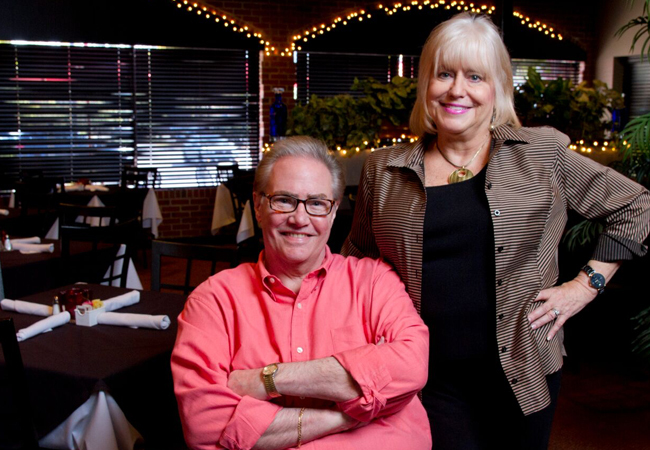 Owners Rick and Cathy Dissell are familiar faces to Louisville diners. 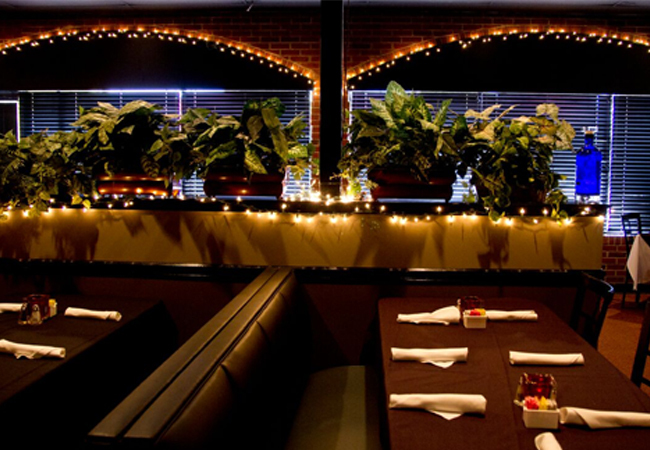 To Blackstone Grille they bring years of experience and warm hospitality. “A lot of our customers are friends, a lot of friends are customers. Many people who used to go to Rick’s (the Dissells’ former restaurant) come here. We must be doing something right. 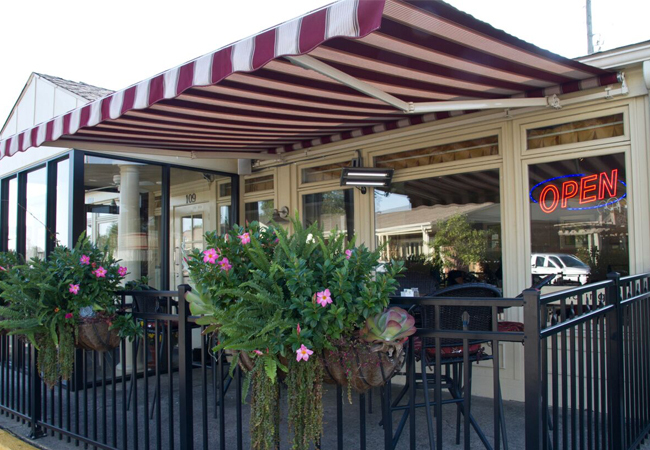 They enjoy our food and staff,” says Rick. 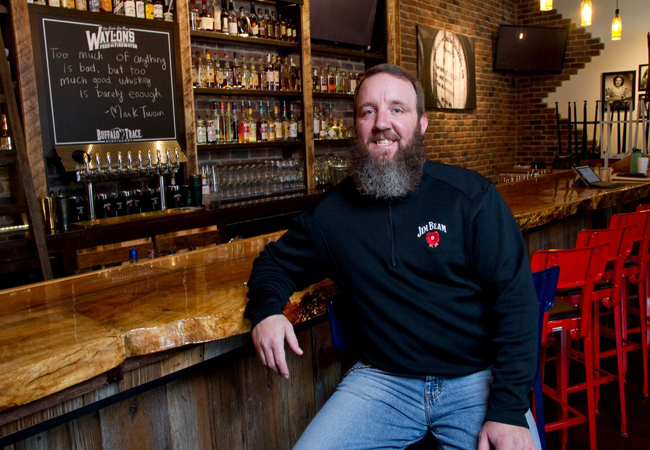 He says Blackstone Grille doesn’t try to do “anything crazy,” that it serves comfort food with a Blackstone twist. The New York strip steak is accompanied by a sweet onion jam that would be good without its leading partner, the meat. Chicken Scarborough is a chicken breast jazzed up with teriyaki sauce, mushrooms and country ham. Is it the tequila or the chorizo that makes the tequila cilantro sea scallops kick with flavor? 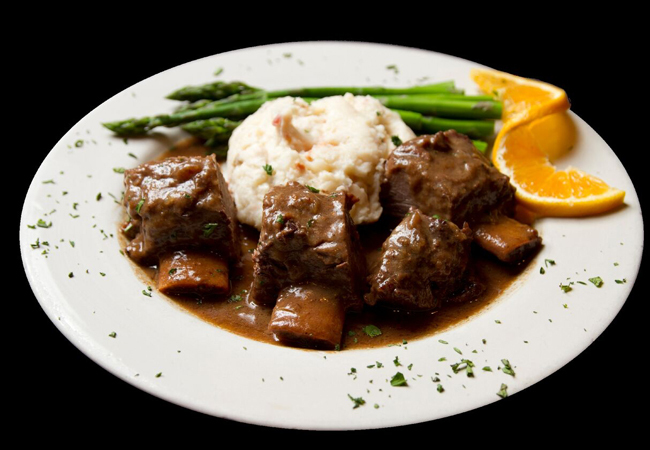 Don’t overthink what’s going on in Blackstone dishes. All the goings-on are superb. Don’t forget the coyote quesadilla, lobster wontons, fried chicken livers and lamb chops. Even as southern comfort food lovers began packing his restaurant, Gospel Bird, Eric Morris was envisioning a restaurant that would feature global street food and would be called Concrete Jungle. 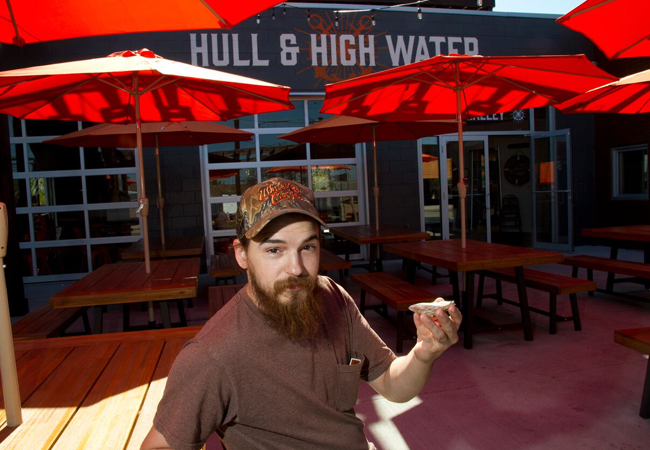 Despite the early buzz that accompanied the idea, Morris and his partner rethought their plans and pivoted toward a totally difference concept, Hull & High Water. Talk about a successful pivot. “It’s a neighborhood seafood kind of joint. We have dollar beers and not much bourbon. 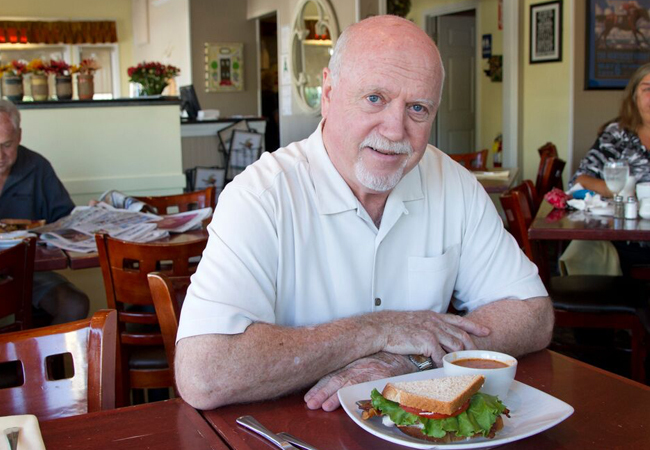 We’re a local, bring-the-family, affordable place to eat a couple times a week,” says Morris. Raw oysters are practically flying out of Hull & High Water, and that’s quite a feat for an oyster. He estimates he sells more than 600 a day. 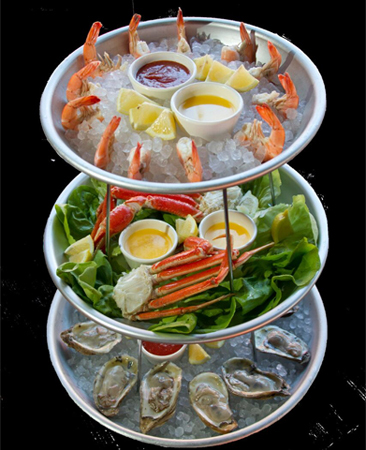 Also on the raw bar are shrimp, snow crab legs and a seafood tower. The Low Country Boils are a not-to-be missed feast. Give in to smoked wings, red chili shrimp, clam chowder, blackened tuna, jerk chicken or a catfish Reuben. Morris says the Po’ Boys are selling like crazy. 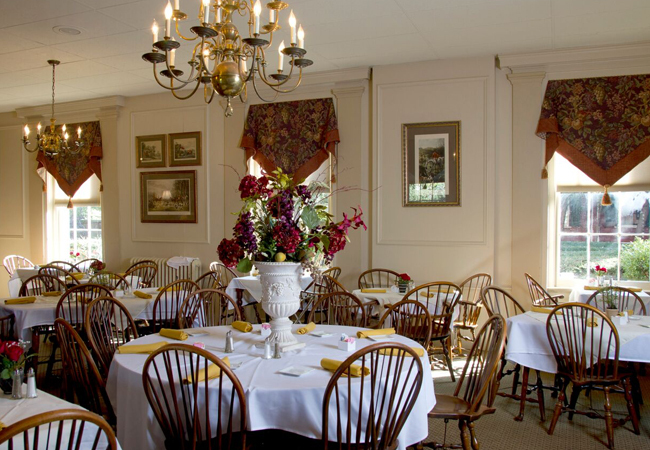 The Georgian Room is the newly-named dining room at historic Science Hill. Little about the interior has changed, but has been refreshed. 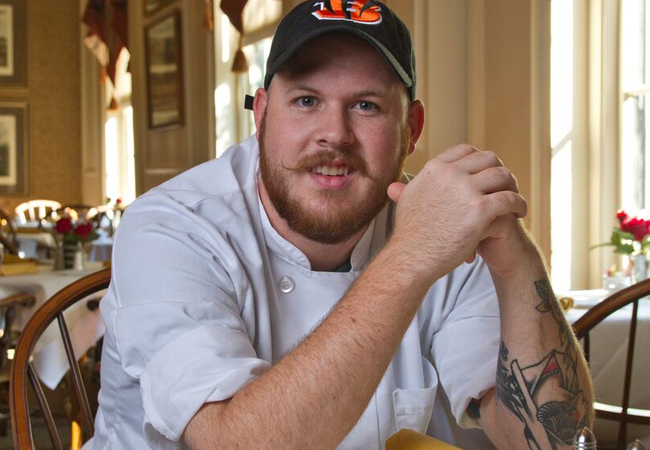 New chef Charles Rice has updated classics while retaining the menu’s southern character. “We’re enlivening the menu and using products from local farmers. As we trimmed down parts of the menu, we expanded others,” says Patti Wilson, chief operations officer for the Science Hill property. 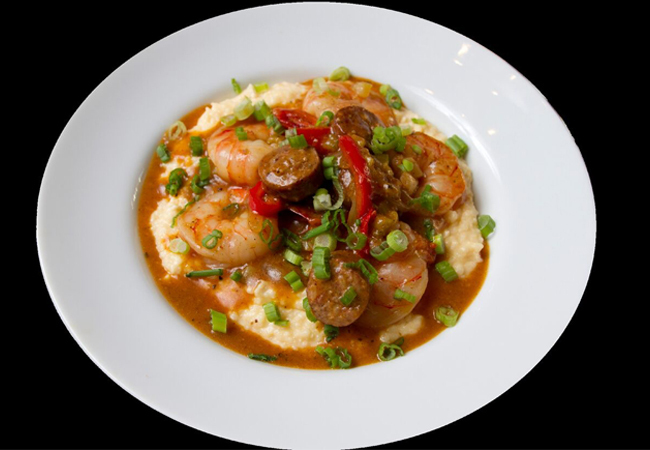 Carolina shrimp and grits were tweaked to be Louisiana shrimp and grits. White cheese was replaced with Cheddar and andouille sausage was added. Visitors who have flocked to Science Hill for a Hot Brown won’t be disappointed. It’s basically the same but now has a bit of southern flair, being served in a mini cast-iron skillet set on a linen napkin that’s placed on a porcelain plate. On the new menu are Hot Brown mac and cheese, catfish, Nashville hot chicken and a goat cheese burger. Desserts change daily but always include biscuit pudding with bourbon sauce. A walnut brownie with bourbon soaked walnuts and a mini rice pudding with seasonal fruit are also sweet endings to a meal. Before or after your meal, stroll through the property to visit several shops – silver, children’s, gifts, horse-themed, garden – and a full-service design studio. It’s the perfect way to round out a relaxed trip to the country. Cheddar Box Too says it wants to be as much “your place as it is ours.” Stop in for breakfast or lunch and you’ll see and feel what they mean. It’s casual and friendly enough that you’ll think you dropped in to visit a neighbor. When owner Mike Powell took over about three years ago, he gave the restaurant some TLC and worked with the previous chef and current chef, Andre Bynum to spark-up, but not overhaul, the menu. You may start the day with breakfast selections such as pancakes (add blueberries, strawberries, pecans, chocolate chips or granola), steak and eggs, or Eggs Benedict. If you’re a breakfast any-time-of-the-day eater, Cheddar Box Too will happily accommodate you. 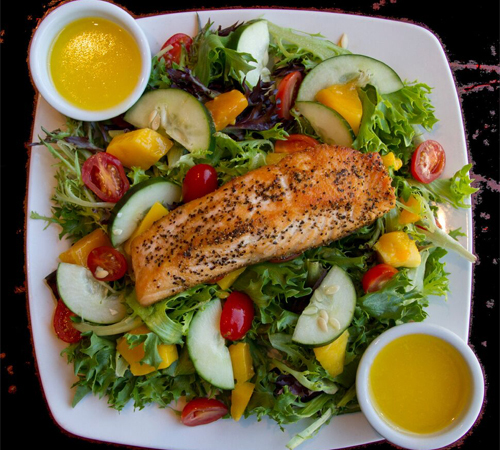 Powell and Bynum’s well-rounded menu also offers soups; salads, such as the baby spinach, seared salmon and Cobb; and a variety of sandwiches like the tuna melt; turkey, Benedictine and bacon; honey chicken; turkey and Cheddar; and chicken club. Seasonal specials are often added to the menu. 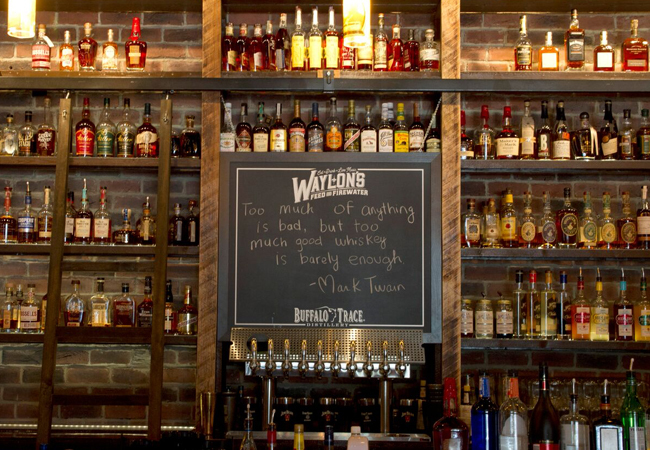 Waylon’s Feed & Firewater is the latest venture from Tony Palombino and Wayne Sweeney. “Feed & firewater” should be your first clue that this isn’t a demure, lace doily tea room. Mix some live music with more than a hundred bourbons, and add some big flavored food and you have Louisville’s new honky tonk bourbon bar. Bring it on! Don’t assume this is another of the city’s hangouts for some bourbon, brews and bar food that’s there only to soak up the bourbon and brews. A menu that’s divided into Snacks and Shares, Greens, Sandwiches, The Taco Stand and Brunch sets you straight that Palombino and Sweeney are deep into their hearty and hefty victuals. 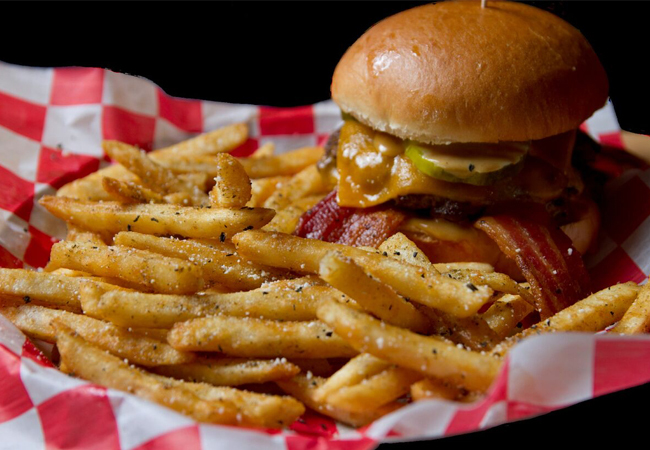 The big seller of a Texas Goldburger is a blend of brisket, bacon, Cheddar and Texas Gold, a secret honey mustard barbecue sauce. That’s all we can tell you about the sauce. Don’t embarrass yourself by begging and cajoling. Sweeney won’t give up the sauce. He will, however, say you should try the Southern taters, his version of a tater tot nacho, full of roasted chicken, tater tots, Angel’s Envy barbecue sauce and a bunch of other good stuff. The menu will also curry your favor with nachos, whiskey wings, Cuban sandwich, fried chicken, eight kinds of nachos and a Boss Hog Burrito. If you can’t make it to dessert, there’s always next time.